Candied coconut ribbon is one of the popular sweet treats of Vietnamese people on Tết holiday which is celebrated on the same day as Chinese new year. 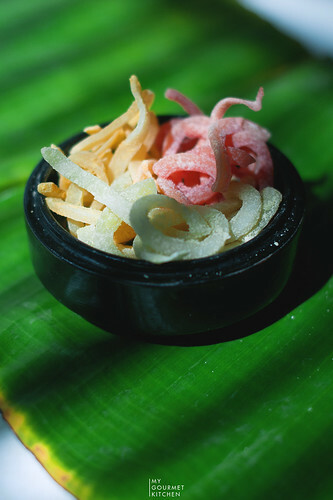 The traditional candied coconut ribbons are white (coconut taste). Instead of using artificial food coloring to make them colorful, i usually marinate them with pandan, carrot and beetroot juice. Natural color is beautiful and safe (also tastier 😉 ) so that we can enjoy without any health obsession.